Did you know that Portugal is the world’s largest producer of cork? Half of the world’s cork is produced here, much of that within the Alentejo region, which I explored recently. 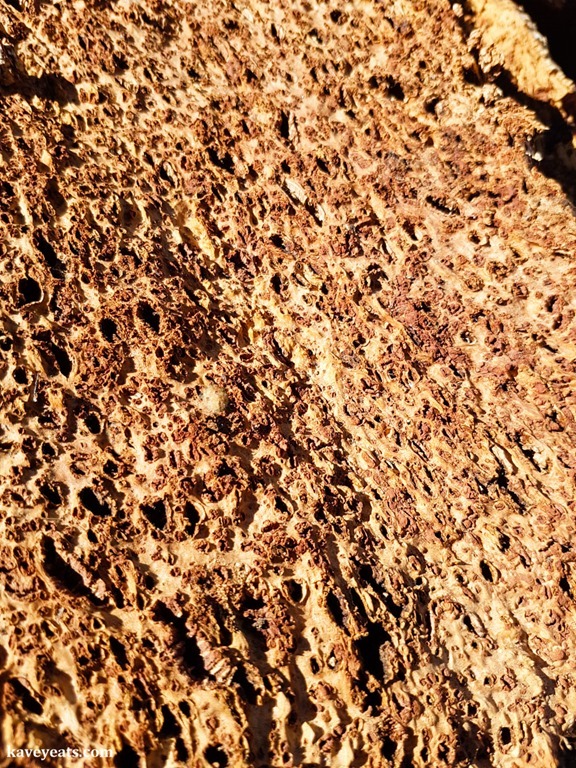 Cork is grown and harvested across the Alentejo, well suited to the hot and dry climate. Most of the processing happens in Azaruja, just to the north of Evora, an attractive historic city. 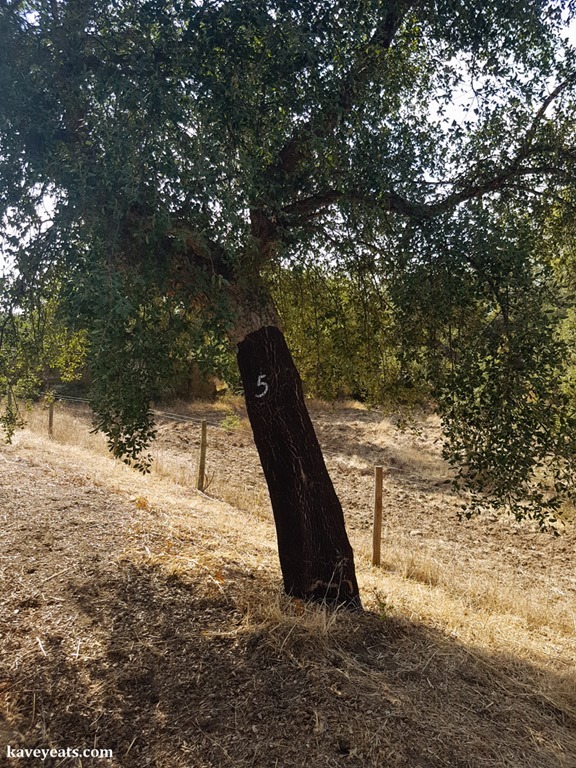 Much of the countryside of the region is covered in cork and olive trees (another key regional product). 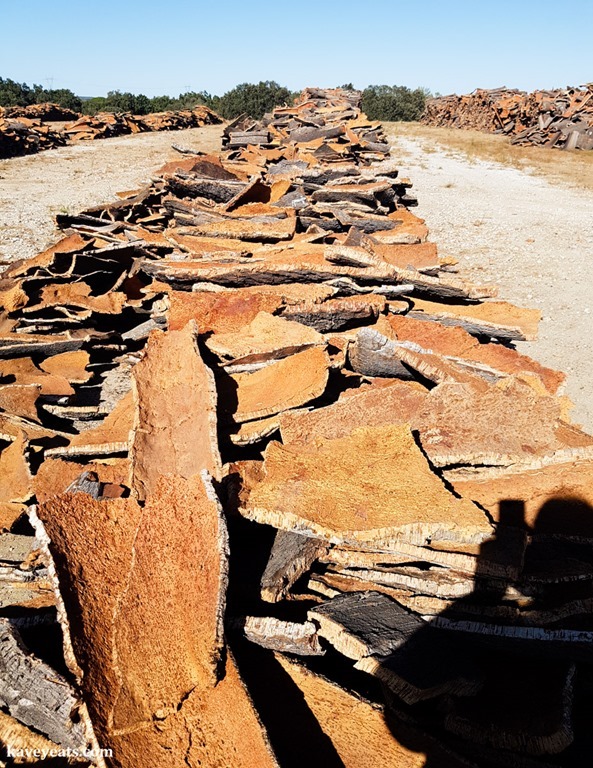 Harvesting cork is not a business for the impatient; it takes up to 30 years for an cork oak to reach maturity for the first extraction of its outer bark – the cork – and the quality of that first year is considered to be a lower quality than subsequent harvests. The harvest takes place annually in early summer, depending on the weather. An ‘Extractor’ cuts a line around the trunk and then down to the ground before carefully wedging the outer bark away with a specialist axe – it’s a skilled job to ensure that no damage is done to the tree. 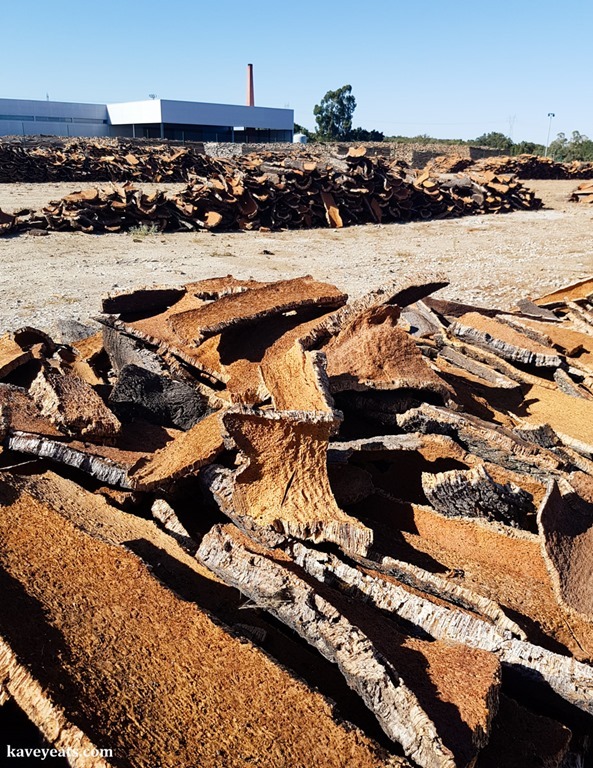 After the first harvest, the farmer waits another nine years before the next extraction, marking the dark inner bark with a large white numeral – the last digit of the current year – to tell at a glance when it was last stripped. 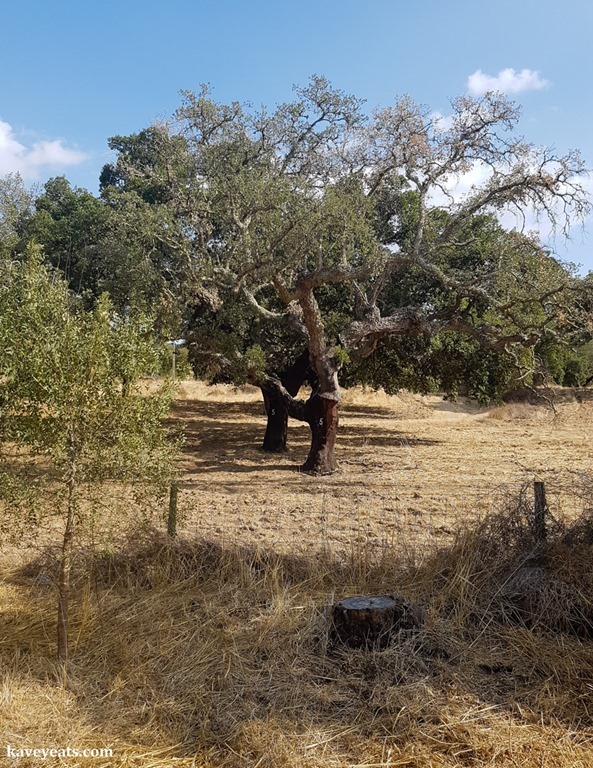 Cork oaks are harvested for up to 150 years, though the trees can live for much longer. Interestingly, in Portugal it is illegal to cut down an oak without specific permission from Ministry of Agriculture. Once harvested, the planks of cork are boiled to clean and soften them, which also makes them flatter and easier to work with. They can then be punched (by hand or machine) to make wine bottle corks (usually graded by quality), or otherwise cut for different uses. Leftover pieces can be ground and glued together to make agglomerated cork products. 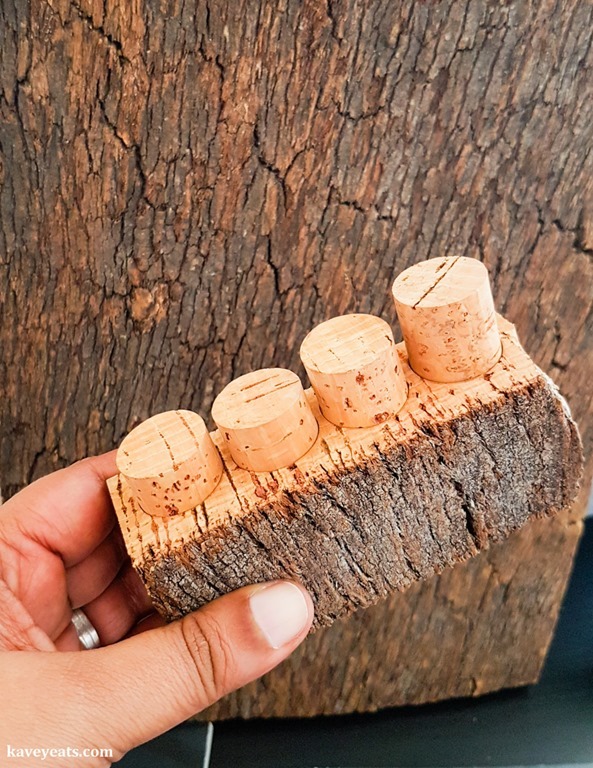 Wine bottle corks are used not only for Alentejo wine but wine all over the world. 48 Comments to "Put A Cork In It, Alentejo!" Oh! That is so interesting and new to us. We never knew Portugal is the chief producer of cork and one needs to be that patient to produce it. It is great to know it is made with such a precision. Wonderful post. Loved it. Yes, it’s considered such a disposable product, one that people don’t give much thought to, so it was fascinating to learn more about it. No, I didn’t know that about Portugal. Thanks for this great info about corks! I always wanted cork floors until I heard that cork is endangered. Did you learn anything about this? No, I didn’t, it’s literally all over Alentejo, thousands and thousands of hectares! I had no idea that cork was harvested. What an interesting read. I’d love to see this region and the cork trees. That is one of the things I love about traveling – all the new things you discover. I think I had heard it was bark but really hadn’t thought about what that meant in terms of production!! How fascinating! 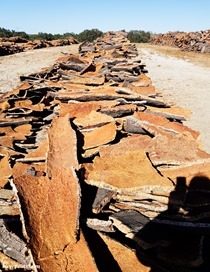 I had no idea that Alentejo – or Portugal in general – produced so much cork! Or that it is harvested. Yeah, I didn’t know either until my recent visit. Cork trees everywhere! No I had never thought about it either!! This was such an interesting read, I never knew how cork is made, thank you so much for the details! Yes and it’s become so expensive!! I was looking for a cork board here in India. No way you can find it easily and if you do it’s wayyyyy to expensive, more then in Europe. But then in general a many things are expensive in India compared to Europe.Lucky you that you got a chance to visit alentejo! I have actually wondered where cork froms. I have a specialty pair of shoes with cork arch supports. The salesman told me that cork makes the best insoles for shoes because they will shape themselves to your foot and create the best custom orthotic. I’ve enjoyed the comfort of cork without understanding where it came from, Thanks for the pictures and explanation! So fascinating! Ooh cork sole supports sounds really comfortable! Wow I had no idea how cork was harvested. It’s really fascinating! And each harvested for up to 150 years, that’s crazy! Such a unique thing to do in Portugal. Yes, I had no idea it was 9 years between each harvest of a tree either! Fascinating to know about cork and its Alentejo connection. I even did not know that Cork is a tree. An eye opening account for me specially the harvesting technique. Ould love to see this I person some day. My pleasure to share this with you! This is something I learnt today. In fact had never given much thought to cork and its source. So fascinating to read about something that most people take for granted. This is indeed a post with a fresh perspective of Portugal. Now whenever I read about Portugal, I will think cork. A big part of travelling for me is to learn about local produce and how that shapes the landscape we are seeing! Wow, I didn’t know cork trees can live up to 100 years. I love cork mostly because when I find cork, it means I am having wine. I don’t even think I knew that cork comes from a tree!! I would never have the patience to wait that long for a business – I hope it is worth it for them after all those years! 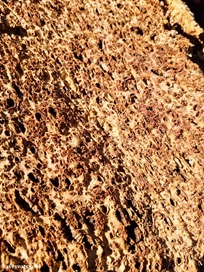 I’m glad they can get cork from the bark, at least they don’t chop the tree down after all that! Yes it’s impressive long-term business! I seem to recall in my memory banks that I knew Portugal was an area where cork came from but was interesting to read this. Will be interesting to see how the future plays out as winemakers tend to use more screw tops. For sure, that trend must have had an impact. Luckily for Alentejo farmers, the new dam and resulting improved irrigation makes it easier to grow other crops and I think the increase in wineries is a big part of that, with lands previously growing cork turned to vine instead. That’s neat. I did not know that Portugal produced cork. Waiting every 9 years to harvest does take patience! I just found out recently, as I was watching a programme on ARTE, where we followed a cork-producing family in Portugal! The process is really very interesting! Oh that sounds interesting, I’ll look out for it, thanks! Wow… learnt something new. I’d never really put that much though behind a piece of humble cork. I did not even know that you need a specific type of tree for that and it needs to be cultivated! I feel like a neanderthal now! I hear you, I knew it was a kind of tree bark but had never thought it about myself either! I remember seeing forests of cork trees while on a day trip from Portimao to Monchique, the spa town in South Faro. Isn’t it amazing that cork oaks are harvested for up to 150 years? Did you get back any cork souvenirs? I didn’t, actually… unless we count the corks in a few bottles of wine that weighed down my suitcase!! I sure did! That was one of my favorite things that I learned on my trip to Portugal. Our driver stopped and carved out some cork for each of us to take home as a souvenir. Wow, that’s cool! Hope you loved the region as much as we did! Another cool reason to go to Portugal. I love how intricate work performed by skilled craftsmen can be. You think a cork would be the easiest thing in the world to make, but that is not the case. I love how much research you did for this piece. Yes, I love learning the traditional skills behind everyday familiar objects such as wine corks! The world is so fascinating! 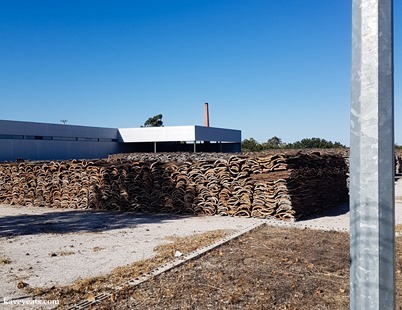 When I first went to Portugal around five years ago, we visited a cork forest while on a tour of the Algarve outback – I can’t remember where it was though! I know they are really well known for their cork. It could well have been within the Alentejo region, it sits just above the Algarve at it’s southern edge. That said, cork is also grown elsewhere in Portugal too so it may have been within Algarve’s own borders! I’ve only been to Lisbon and the Algarve but would love to explore Portugal more. I never knew it took 30 years for a cork to reach maturity, and that’s just the start of it! A really interesting post, you learn something new every day. I haven’t been to Lisbon for about 3 decades, so my memories are so fuzzy, I’d really like to go back. Hope you make it to this region of Portugal!